Throughout the past two quarters, I have learned that the courses that I have been taking are not relative to what I want to do. As a result, I decided a couple weeks ago I wanted to switch my major from biology to psychology. According to the National Center for Education Statistics, about 33 percent of students in the United States change their major at least once. Once I came to terms with what courses I wanted to take, I realized psychology courses would relate to my dream of working with children more. Over time, I have learned that everything happens for a reason. Some college freshmen have a tough time seeing whether or not the courses they are taking fit who they are. Are you planning on going into the medical field? As a kid, did you want to be a doctor when you grew up? How did you test relative to the average on the last biology exam? These questions have popped up more times than I could count the past five months. As a freshman, I have learned that maintaining a 4.0 GPA is attainable but extremely difficult with the course load taken on by a biology student. 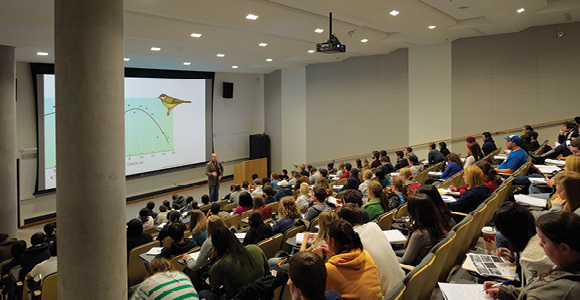 Not many schools allow a college student to start with such academic classes that are relative to their major like Drexel University. It is rewarding yet challenging to have continuous and extreme testing. It takes a certain student to be active and persistent to have effective time management skills from week one to week 10. Whenever I encounter a biology student, that person is passionate in their area of study, and it shows. Ever since I was little, I was a kid who loved working with wildlife and people. As a result, my mind always leaned toward being interested in the science field, and it took some time to discover what career I wanted to pursue. At the end of my senior year of high school, I wanted to pursue a career in working with children, so I chose to major in biological sciences. So far, the first two quarters here at Drexel have tested my capabilities of what I want to do with my life. Although my career goal is still to work with children, I have realized what courses I would enjoy taking in my future which isn’t primarily all biology and chemistry courses. Time is an essential deciding factor in whether or not people want to change their area of study. I have learned that it may be hard to drop everything and totally switch to something different, but if you see yourself succeeding more in a different area of study, it is the better option. Changing my major of biological sciences has crossed my mind because of the obstacles that any biology student on the pre-med track must take. It took analyzing and weighing out my options to finalize my decision of changing my major from biology to psychology. As my academic advisor told me, “it is easier to switch from biology to psychology rather than from psychology to biology”. I took these words to heart and used the advice that she gave me to decide what courses I wanted to take in the third quarter. If the thought pops up in your mind to switch your major, talk to your academic advisor and discuss options. When you can see yourself excelling better in a different major, take action.